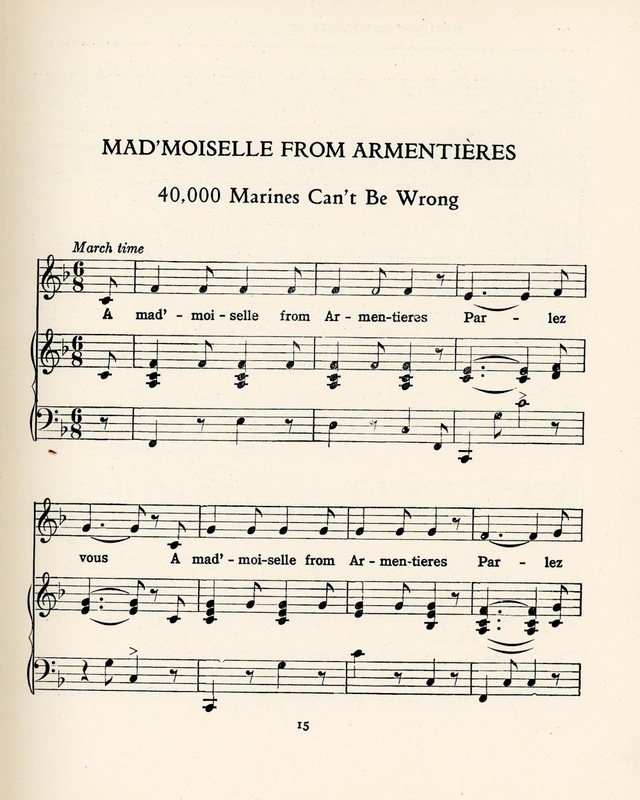 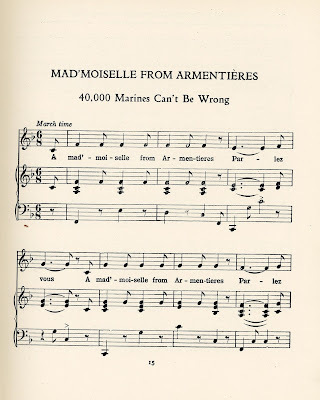 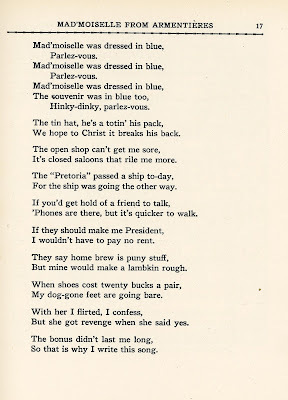 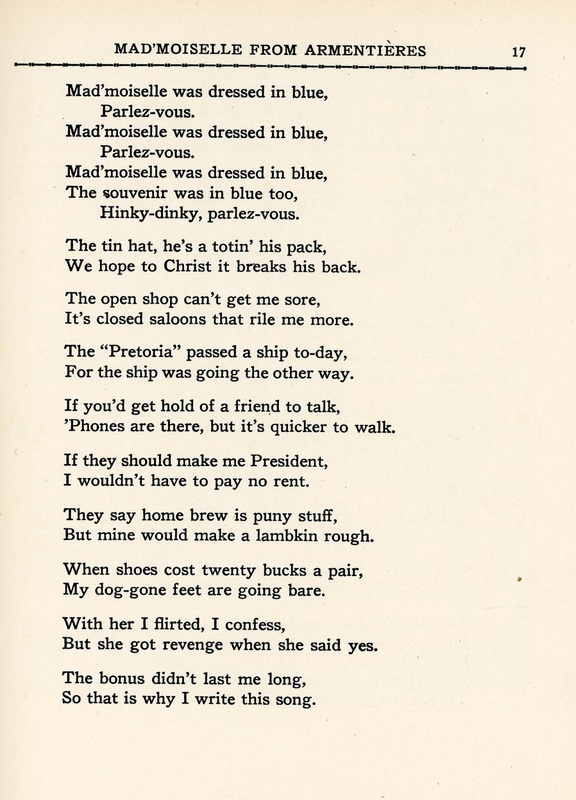 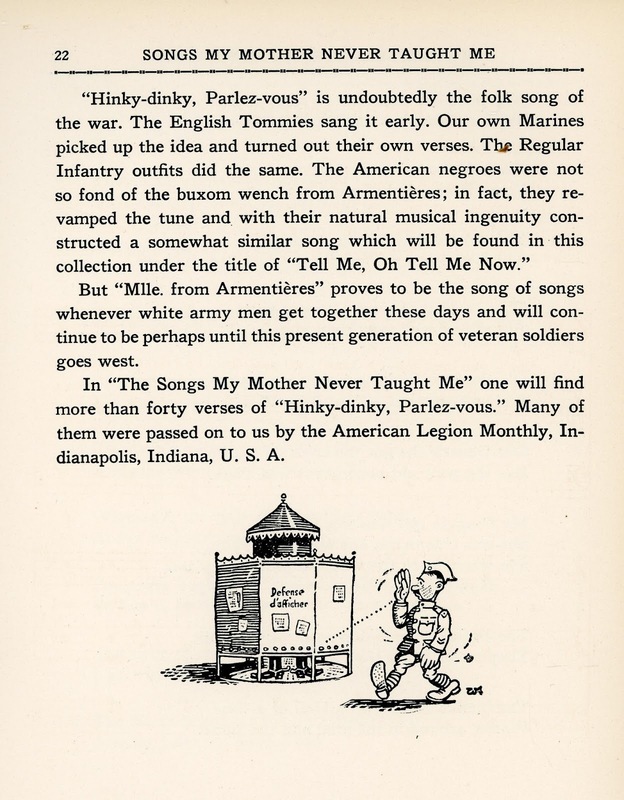 This delightful 1929 compilation was published by The Macaulay Company of New York. 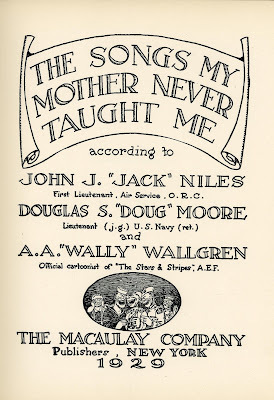 It was the work of three men: John Jacob Niles (Jack, 1892-1980, composer, performer, folklorist), Douglas Stuart Moore (Doug, 1893-1969, composer, educator, author), and Abian Anders Wallgren (Wally, 1891-1948, artist, official cartoonist of The Stars and Stripes, AEF). 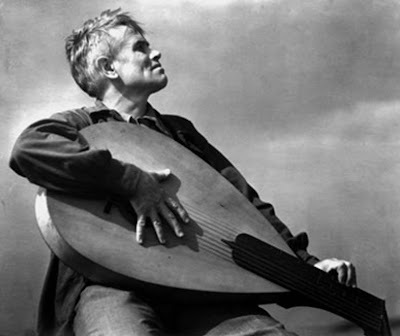 Aficionados of the folk music renaissance of the 1940s-60s remember John Jacob Niles’ eerie voice, dramatic and emotional presence and oversized Appalachian dulcimer. 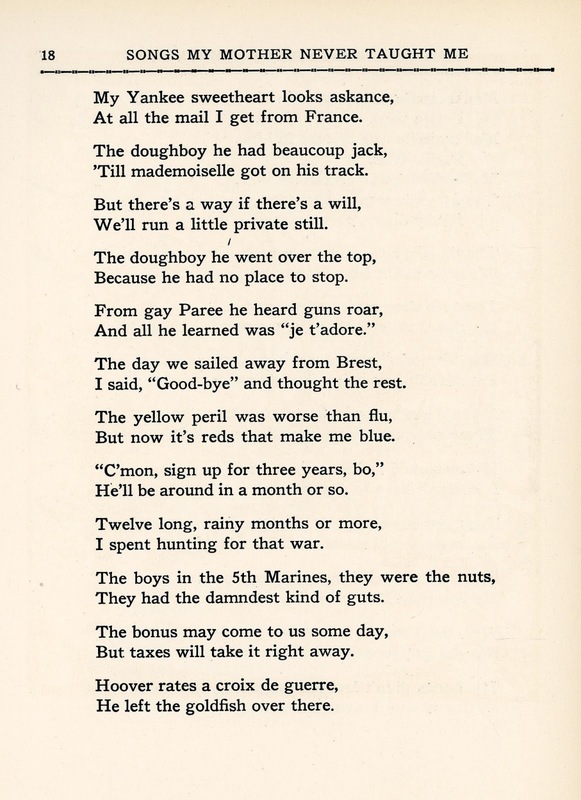 He may be seen and heard performing his best-known composition, Go ‘Way From My Window — HERE. 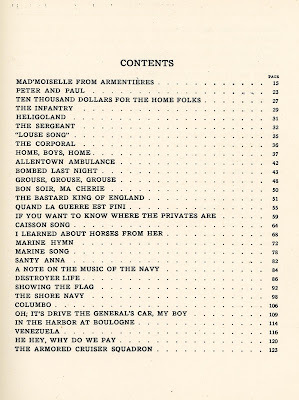 In addition to his books of folk music, Niles co-authored with fellow air service Lieutenant Bert Hall One Man’s War; The Story of the Lafayette Escadrille (New York: Henry Holt, 1929). 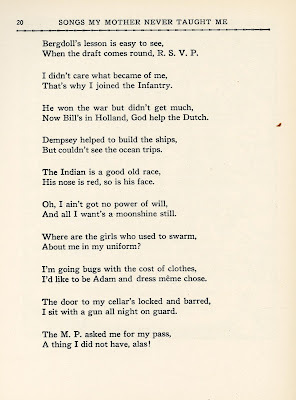 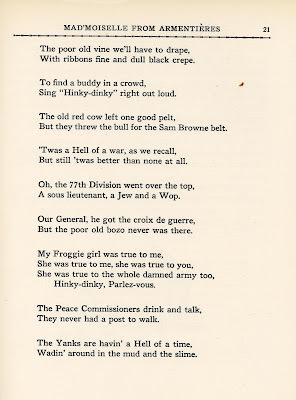 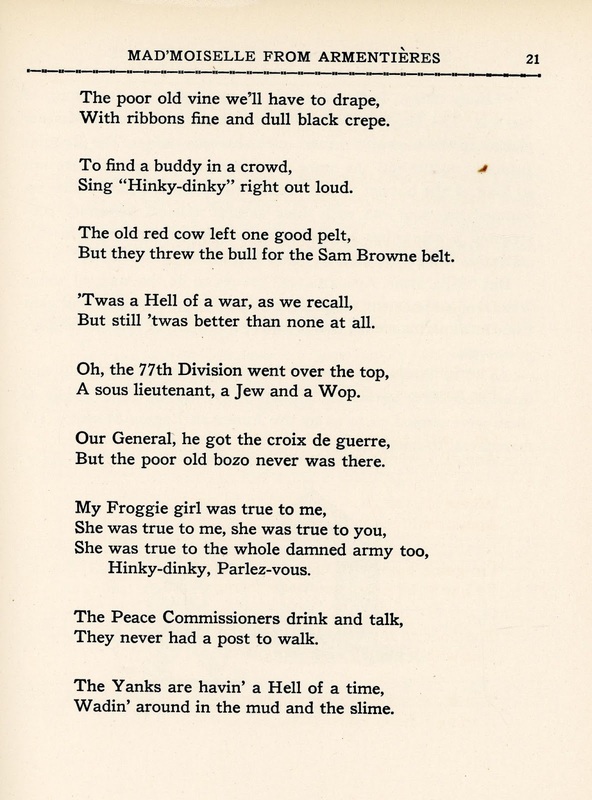 It is difficult to picture the intense folklorist of later years as a devil-may-care member of the Army Air Service, Officer Reserve Corps, but his work on The Songs My Mother Never Taught Me is proof positive of his lighter side. Born in Louisville, Kentucky, Niles learned music theory and folk songs from his mother. 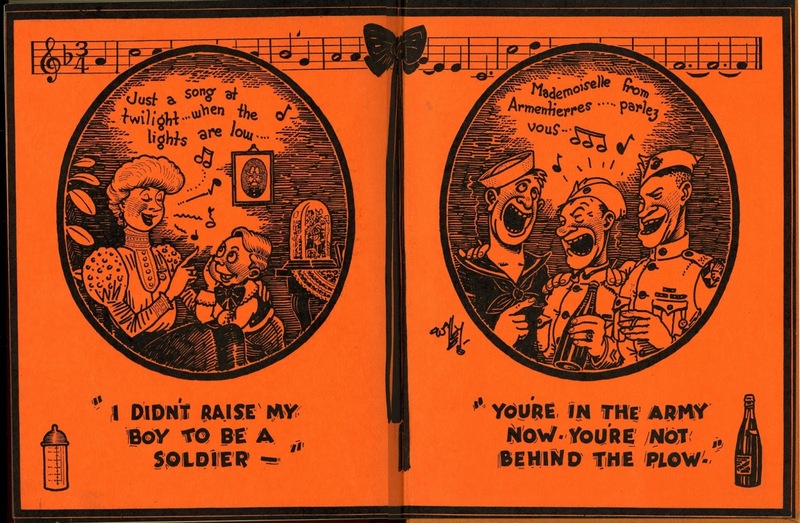 Before his enlistment, he had spent a number of years collecting Appalachian music and writing his own songs. 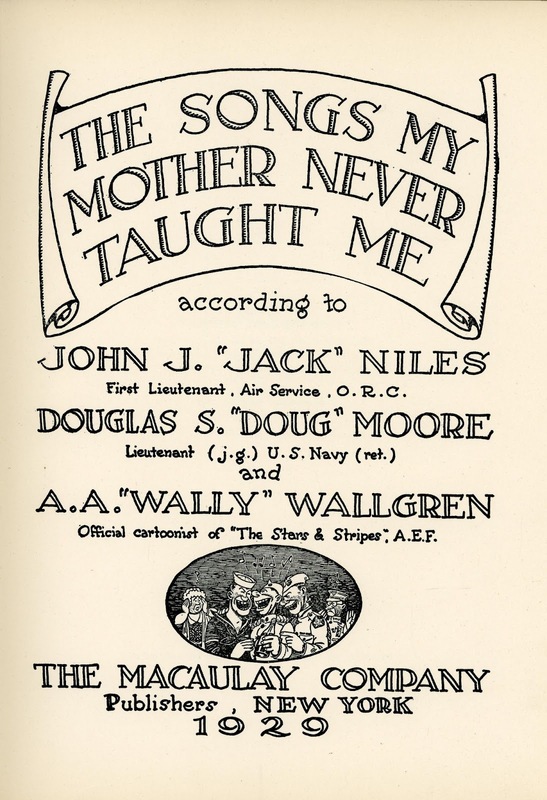 After his stint in the U.S. Navy as a Lieutenant (Junior Grade), New Yorker Douglas S. Moore studied music in Paris, then continued his studies and began composing classical pieces in Cleveland. In 1926 he joined the music faculty at Columbia University. 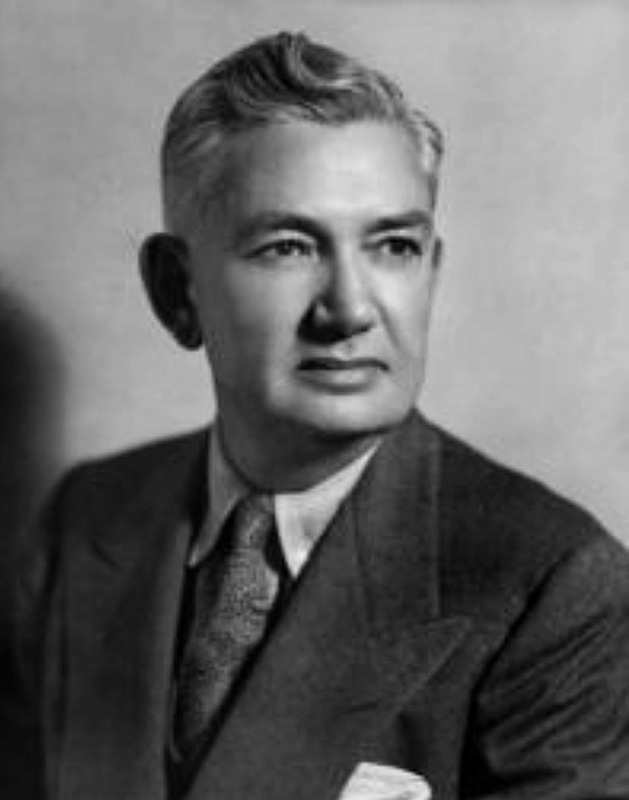 He collaborated with Stephen Vincent Benet on the opera The Devil and Daniel Webster. 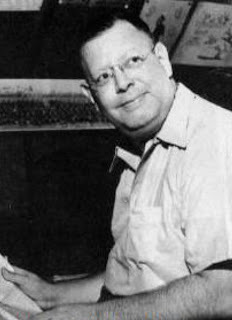 He eventually wrote music for orchestra, ballet, theater and film, and wrote two books on music. Poles apart from Niles and Moore was Philadelphian Abian Anders Wallgren who signed his art Wally. 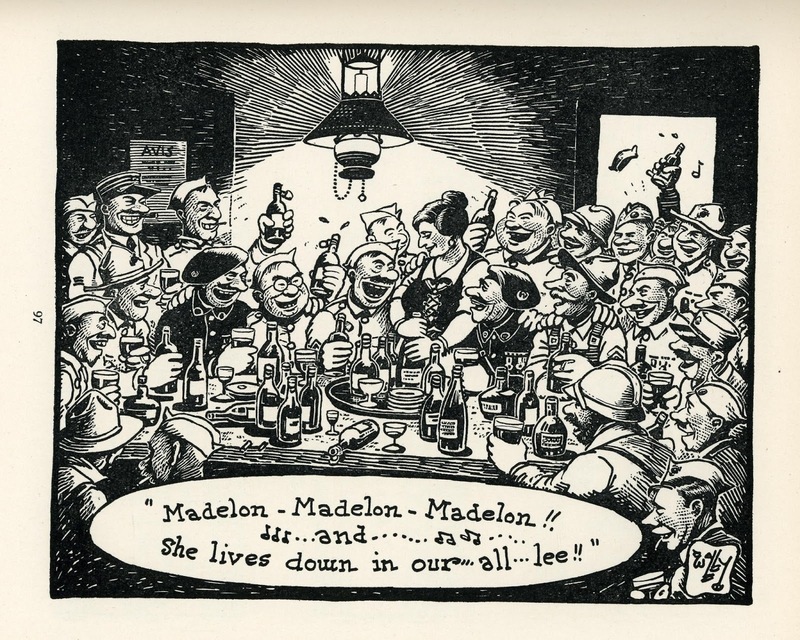 He began cartooning when a teenager and had two strips running in the Sunday papers at the age of 16. 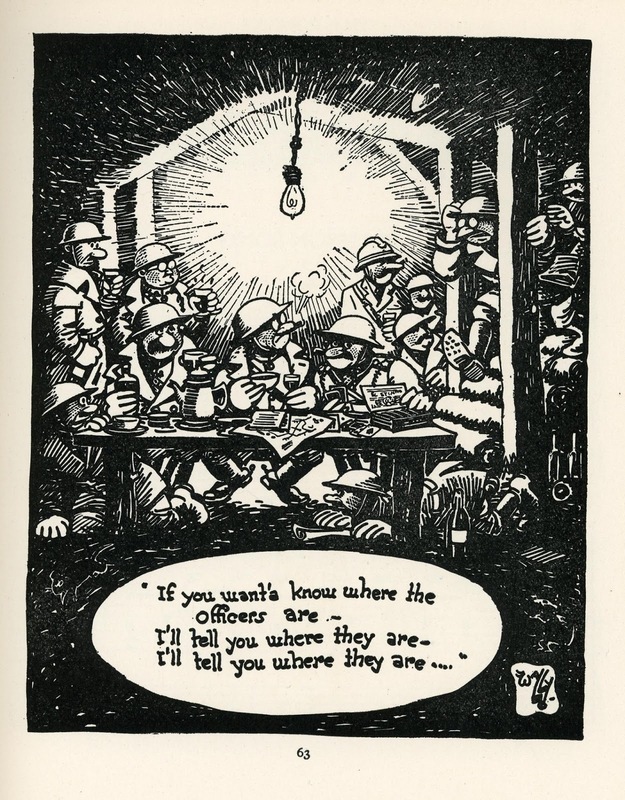 Among the first Americans to enlist in 1917, Wallgren flouted regulations and was usually in trouble with the M.P.s for such offenses as smuggling cognac into camp. As an army sign painter he painted “Latrine” and “Officers Only” signs throughout the American sector, until he joined the staff of the American Expeditionary Force’s newspaper, The Stars and Stripes. 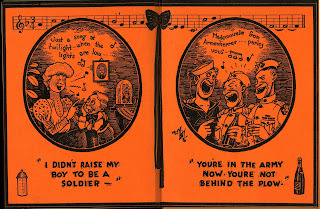 He created Hoosegow Herman, Inbad the Sailor and The Saluting Demon, among others. 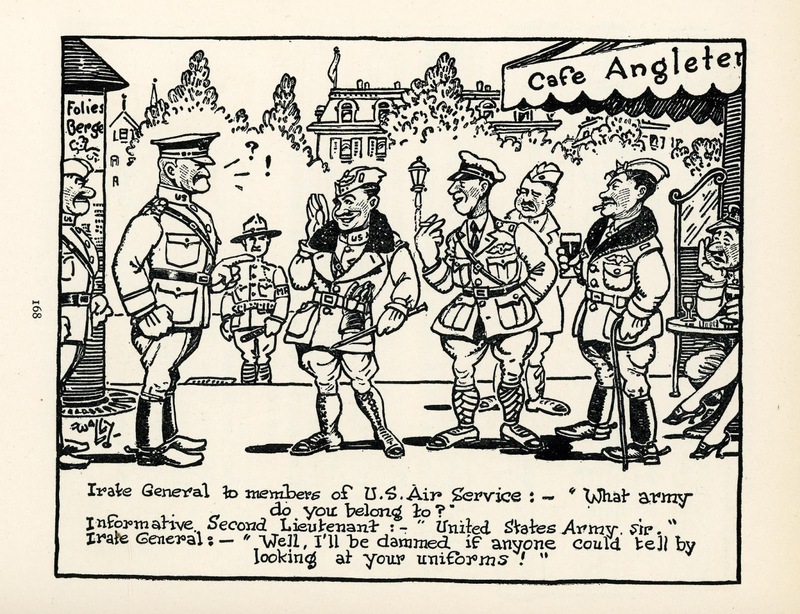 Wallgren received high praise from General John J. Pershing for his contribution to morale. 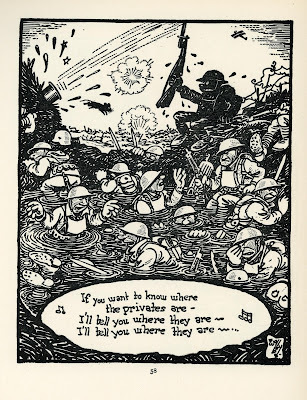 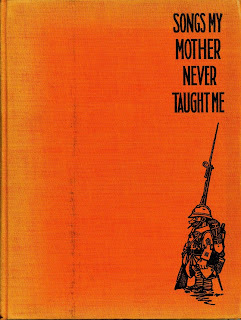 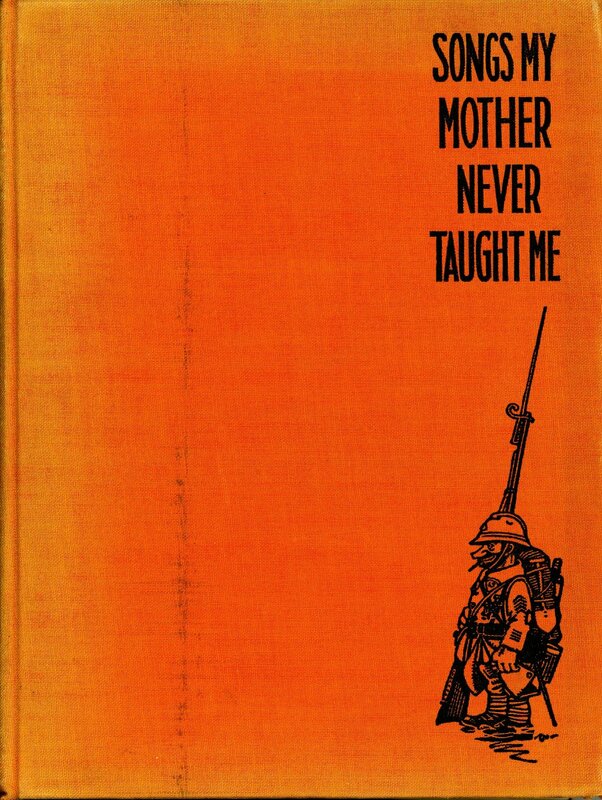 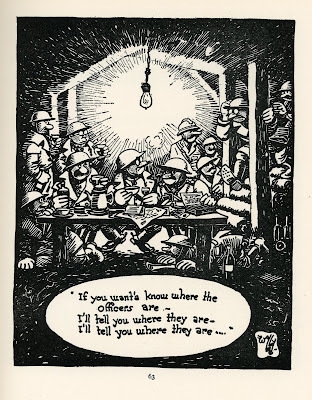 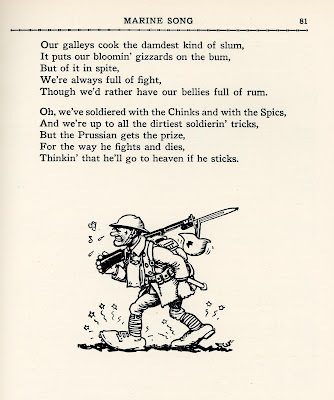 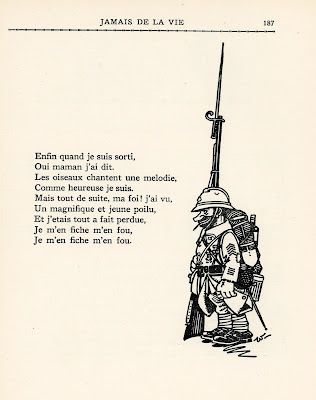 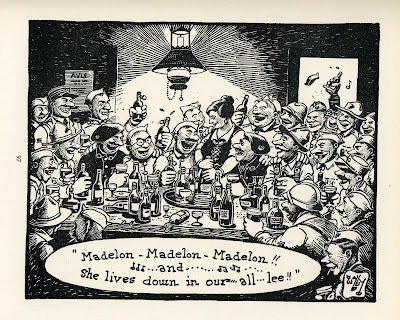 Like his BEF contemporary in WW I, Bruce Bairnsfather, and his World War II counterpart, Bill Mauldin, Wallgren captured the essence of the combat experience with a mix of pathos and wry humor. 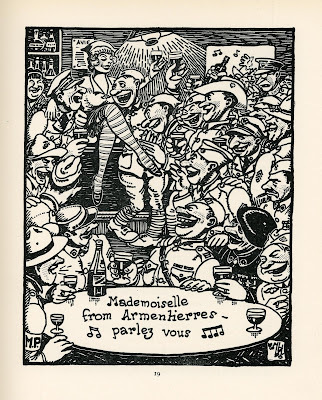 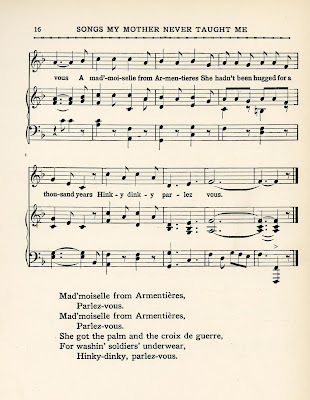 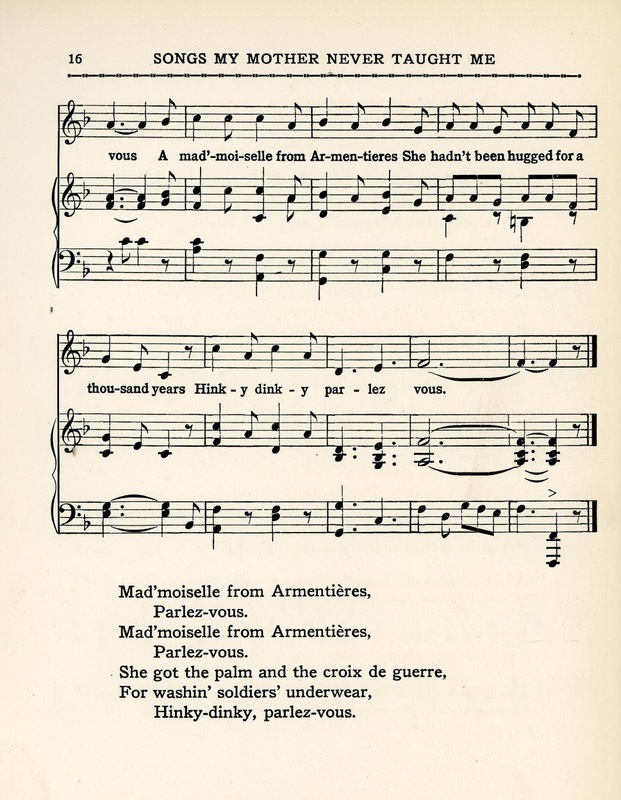 “Mad’moiselle from Armentières.” Wally cartoon. 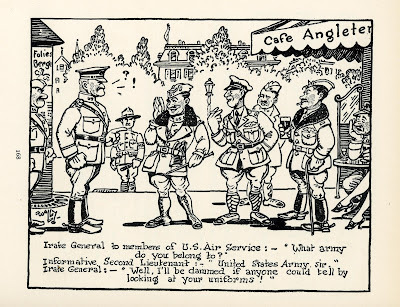 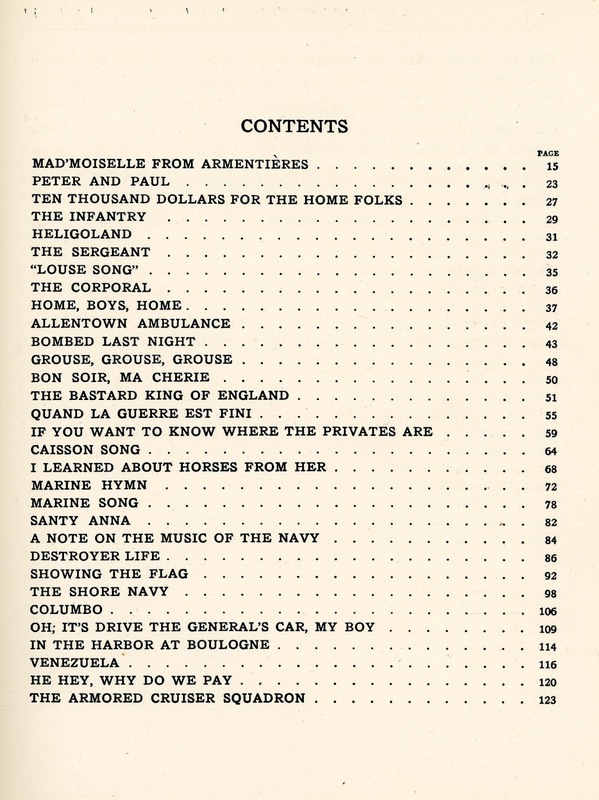 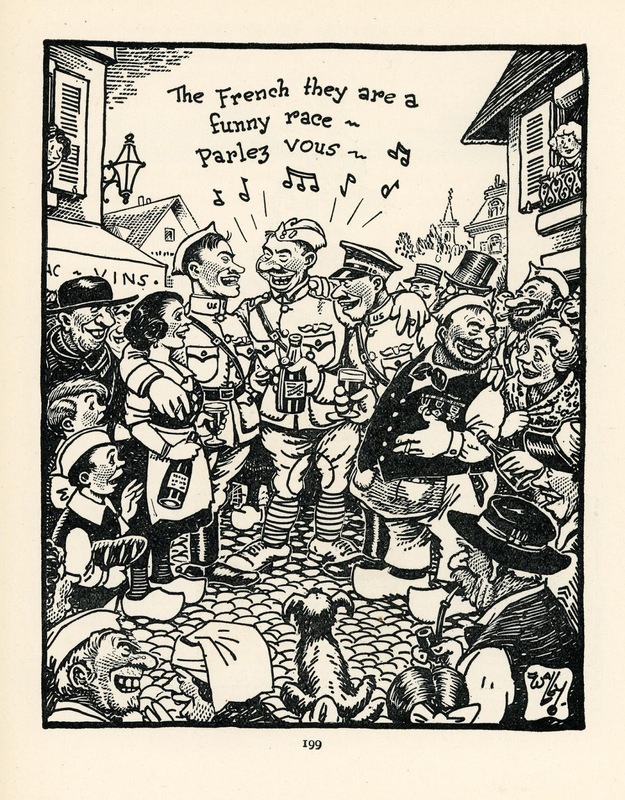 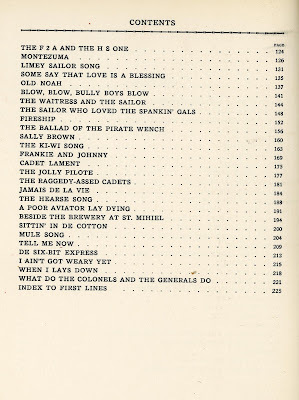 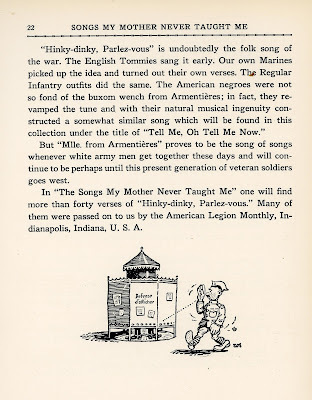 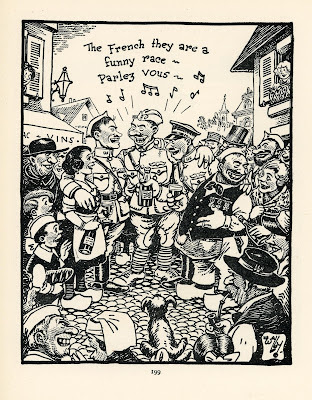 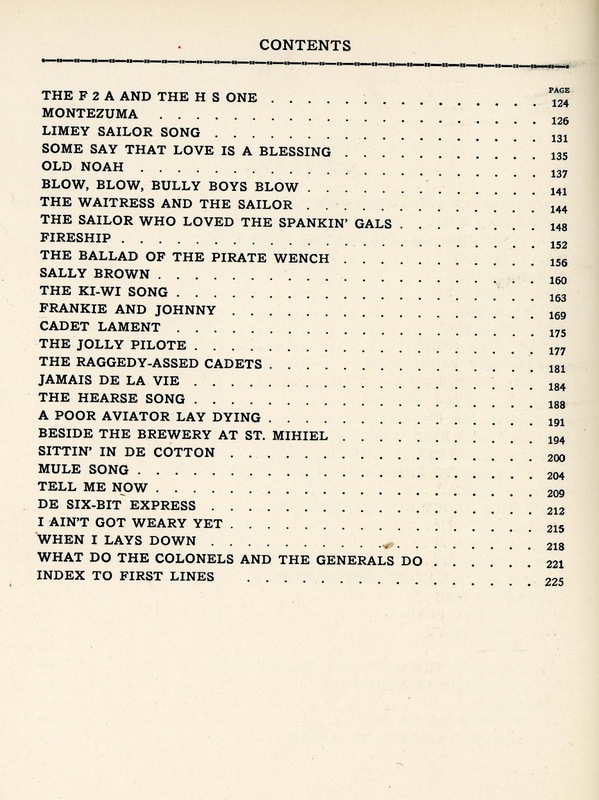 ‘Rollicking Soldier Songs.’ Appraisal in The Saturday Review of Literature, January 4, 1930. 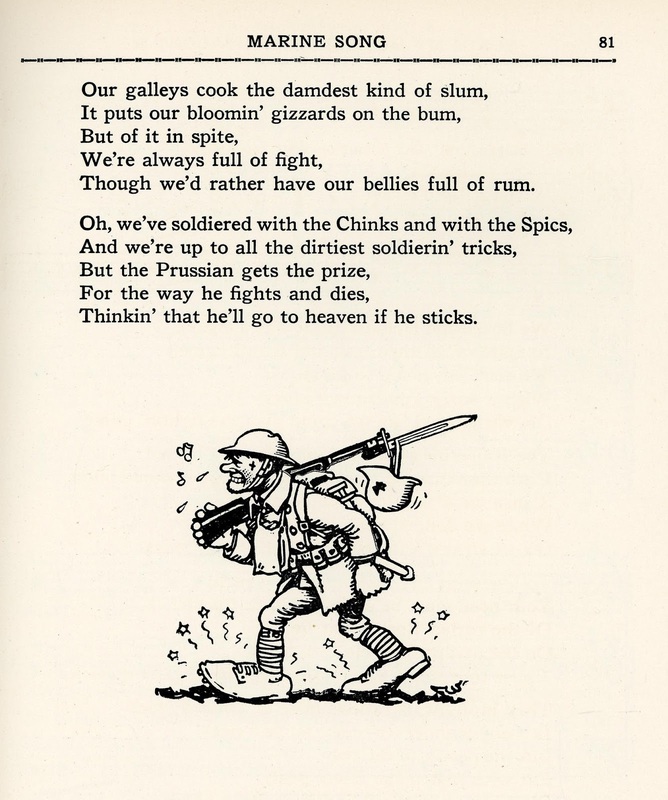 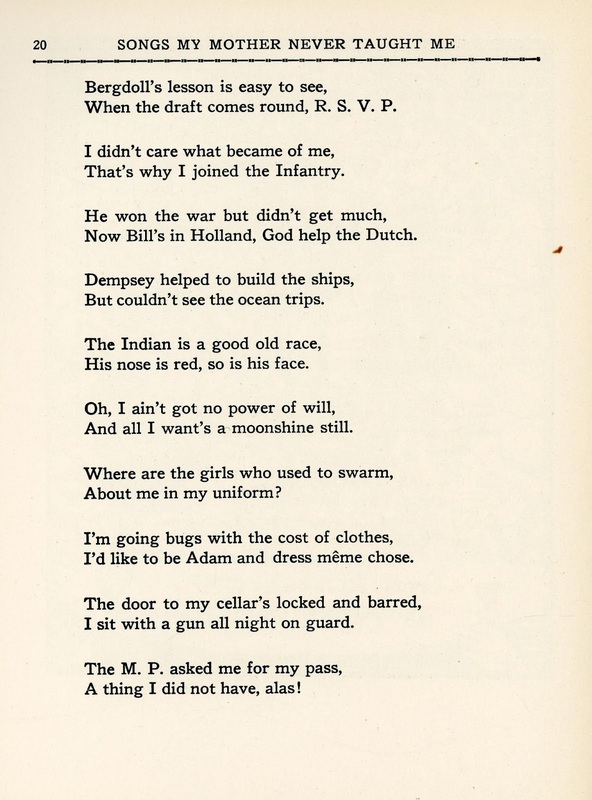 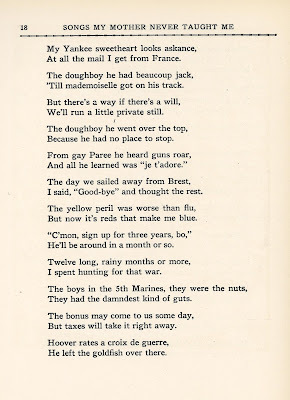 See Humor in the Trenches — The Wipers Times HERE.